Such is the case with me too.. 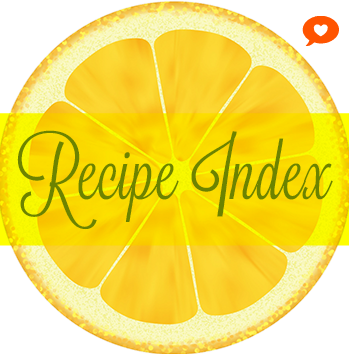 Most of the recipes featured on this blog until now are associated with a certain reminiscence of the past. 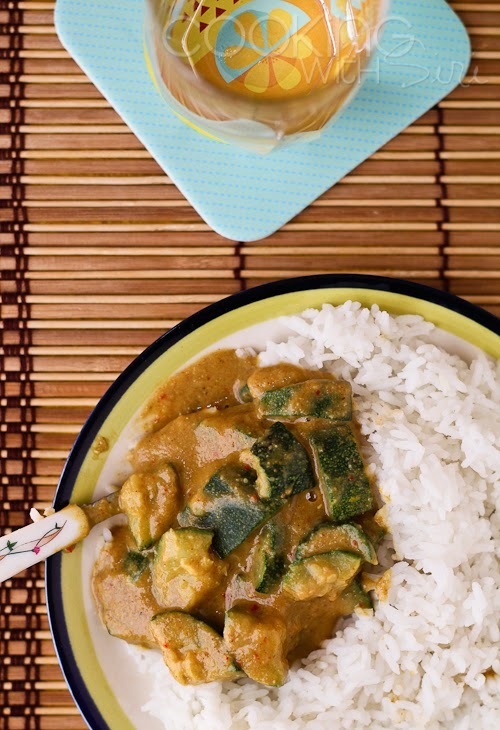 For instance, the most popular recipe is Vegetable Biryani and Mixed Vegetable Korma. These two remind me of our leisurely, late-afternoon Sunday lunches when all four of us are at home, with no pressure of homework, watching an old classic on Doordarshan. You see, we never had cable connection until I was 18 years old as my parents thought it would distract us from our studies :-). Atleast two times a week, my mother used to make Khara Pongal for breakfast, which is a sumptuous meal in itself and fill our tummies until lunch time. Every weekend we used to stay back at my grandmom's house. Very often, my uncle used to get fresh khoya from a nearby doodhwala and within an hour, each of us used to devour on these delicious sweet treats, at which my ammama is a pro - Khoya balls (Kova Billalu). 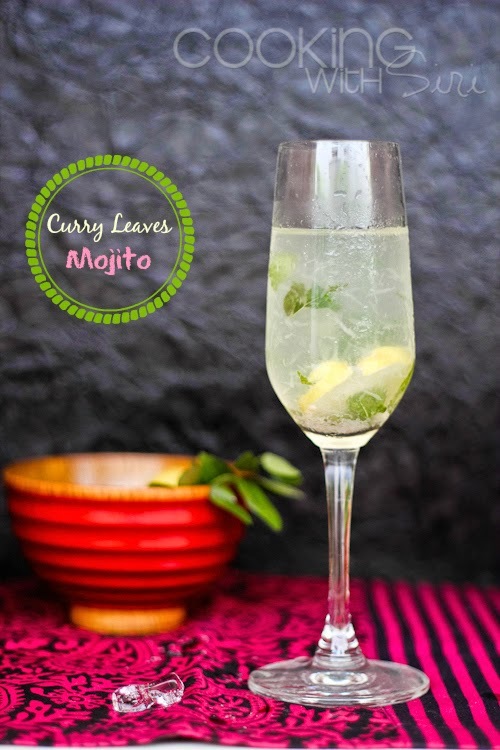 If craving for something spicy, we always used to fall back on some Mirchi Fritters. 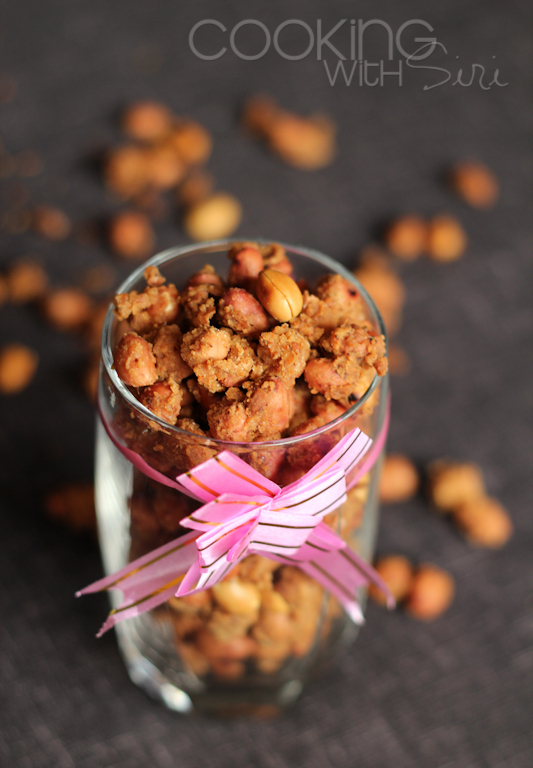 spicy, crispy, crunchy peanuts - perfect for munching..
Go on, make these for your loved ones too, gift them a jar-full and I promise, they will be super-duper happy! 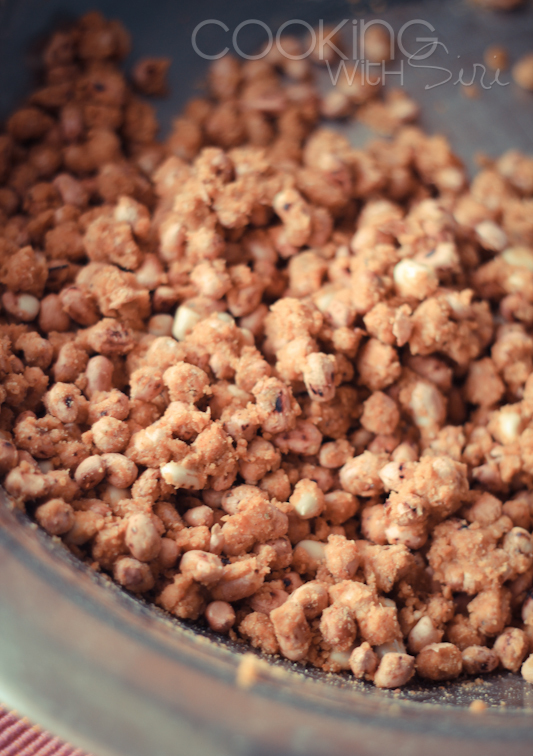 Peanuts coated with spice-flour-oil mixture, ready to be fried. Fry them until light golden. they gain a little more color once they reach room temperature. 1. 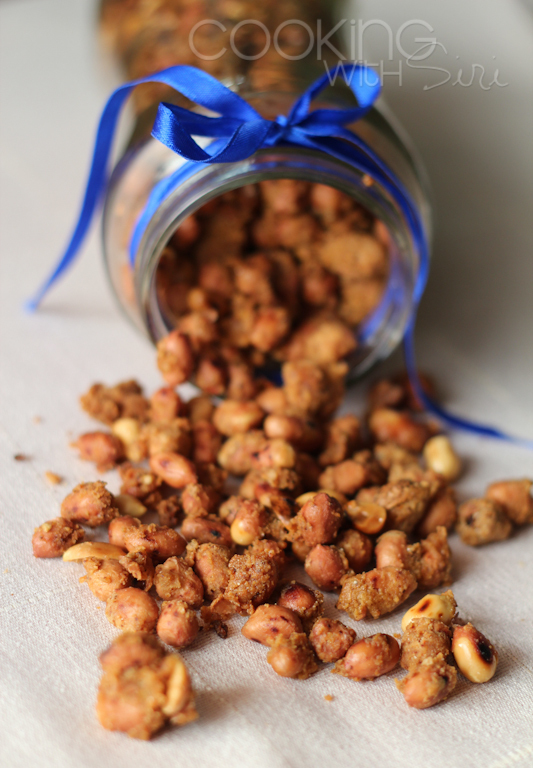 Dry roast peanuts. Keep aside. 2. 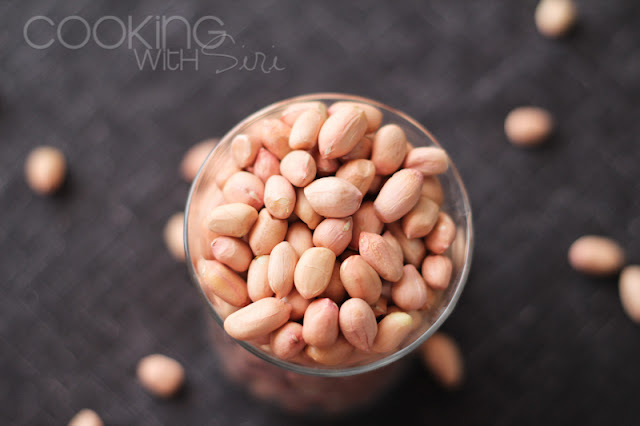 In a large mixing bowl, add rest of ingredients with peanuts. 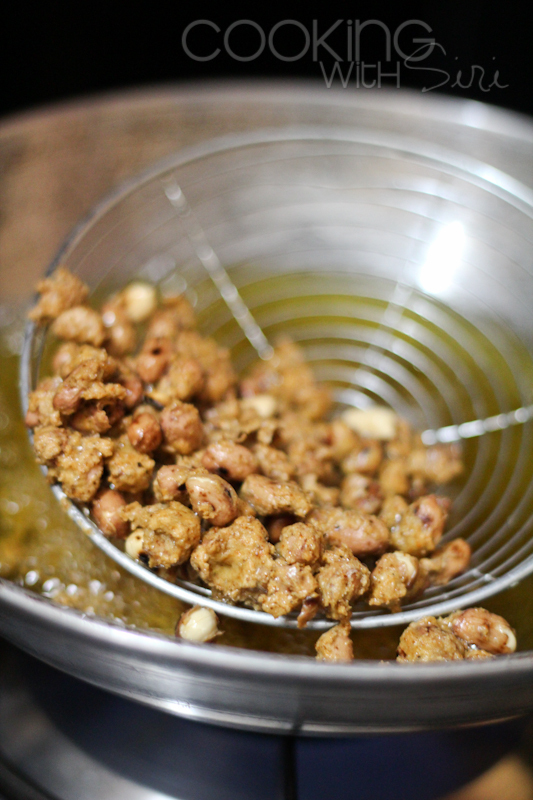 Add water (little by little) and mix the nuts with spices so that its evenly coated with the mixture. (see pic above). It shouldn't be wet. 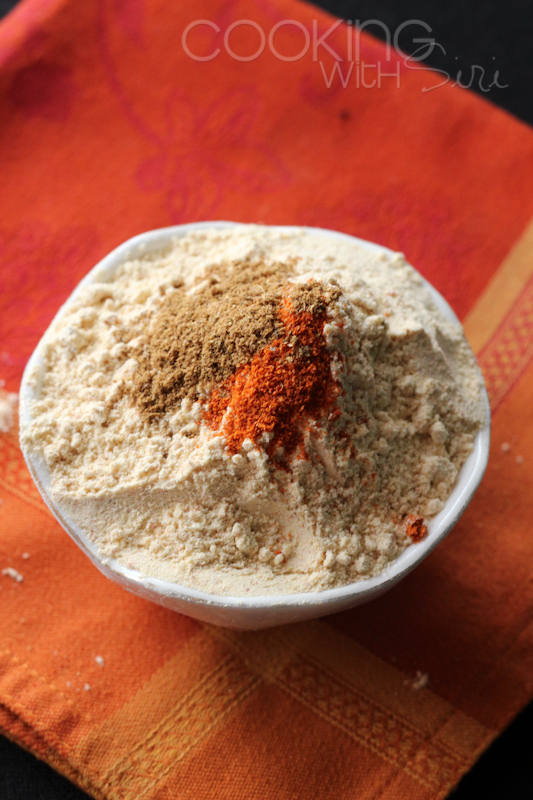 Variation(s) - the same recipe can be easily adapted to any kind of nuts like cashews, almonds, pistachios etc. ..or just grab some when hungry or as snack with hot tea on side. Bliss! I am sure gonna try this one soon. Looks super yumm. These look magnificent! I must try them out sometime! 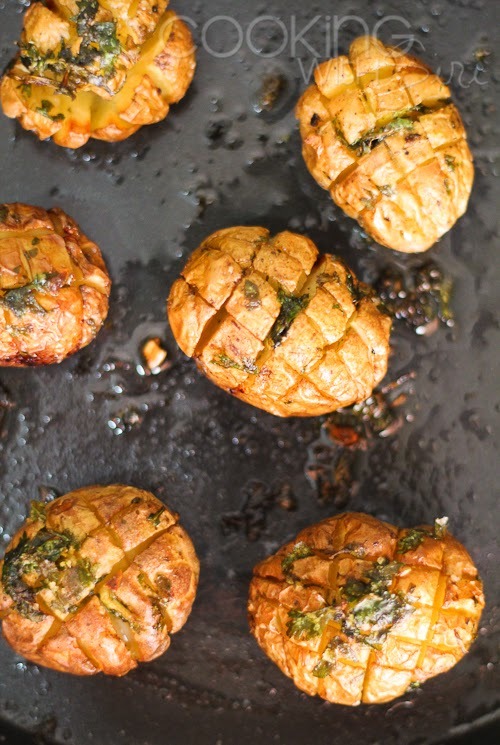 one of my fave snacks :) glad to see you back with a recipe! ooh la la- the pics are stunning and it is my fav too ! My favourites.Wish I can have them now. My dad loves peanuts before dinner...I am sure he will love this! Crunchy and perfect snack for teatime...looks so tempting.Beautiful pics!! I like to squeeze some lime juice too! The photos are beautiful .. love the last one the most! 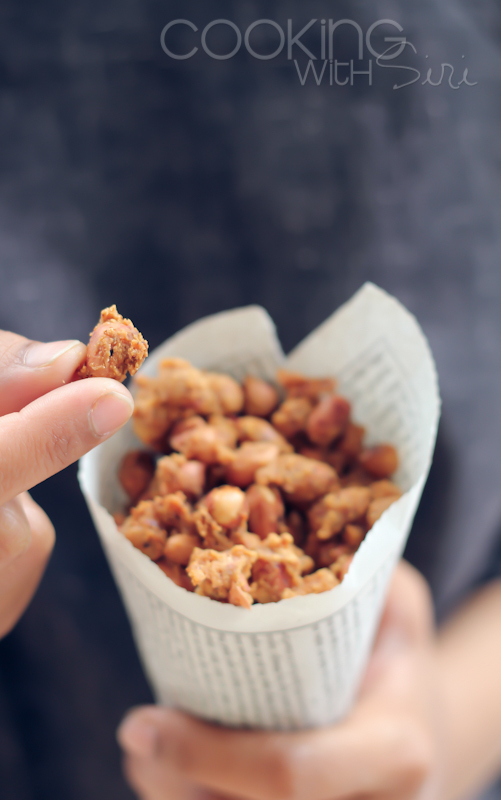 A lovely crunchy snack for all times! 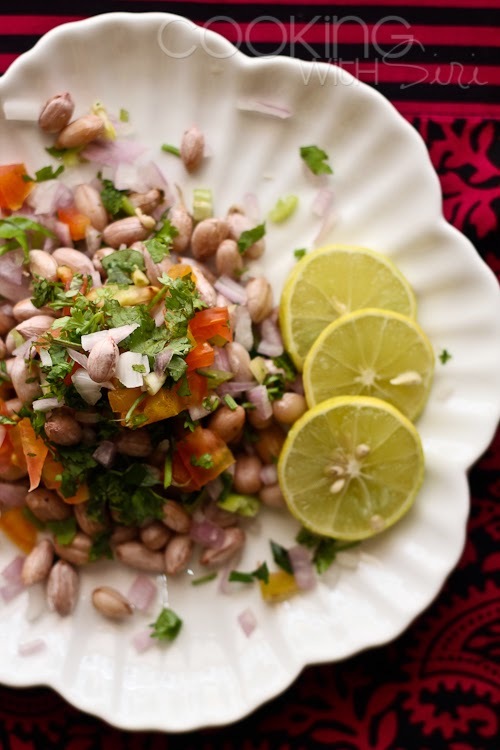 Sprinkled with chaat masala, its a sure winner! 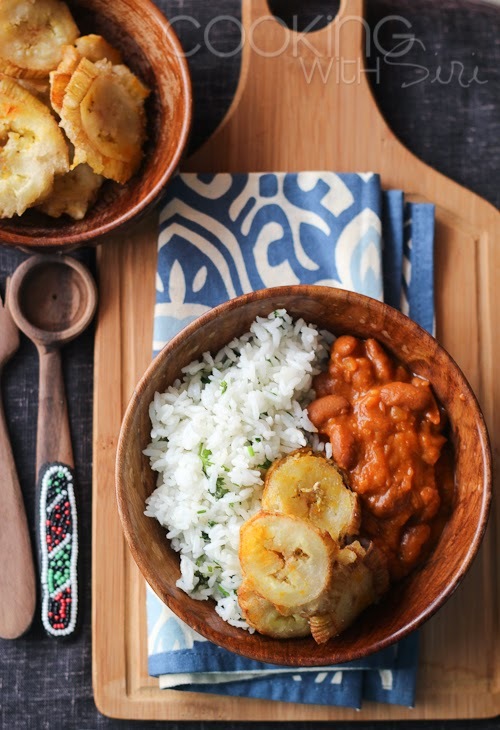 Can I use regular flour for this recipe?